ALCC is able to offer many programs, events and services because we have great sponsors. Please consider these companies in your purchasing decisions. The best sponsorship opportunities go fast, so make your move now. Maximize your exposure and reserve a sponsorship opportunity or package today. We will also help you customize your brand-building package. Call 303-757-5611. Download the Sponsorship Brochure for a full description of the different sponsorship packages. 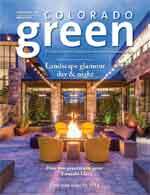 Use advertising and sponsorship in Colorado Green magazine to position your company with ALCC members who are your target market. They will recognize your company name, logo and your products and services. They will think of you when they make purchasing decisions. With ALCC, you have ample opportunity to get to know the players in the industry and in your market.